Biography: 3 years worked in Vehicle NVH testing. 5 years working in CANsystem Co., Ltd, as a sales engineer for Data Acquisition System and HVAC test bench. Synopsis: Ipetronik, one of the world’s leading companies for mobile measurement technologies, DAQ software, engineering services and test bench technology for the automotive industry, is going to introduce new remote vehicle data measurement and analysis solutions based on web at Automotive Testing Expo Korea 2019. Increasing cost pressure, faster development processes – as well as the trend toward electrification through hybrid systems, electric and intelligent driver assistance systems – require more efficiency during driving tests. To meet these requirements, Ipetronik will present a new datalogger IPElog2 in combination with fleet management via IPEcloud. This combination is the optimal solution for sustainable and efficient fleet endurance runs during the test. Synopsis: In addition to the existing Head Injury Criterion (HIC), NHTSA in the United States is studying the introduction of a Brain Injury Criterion (BrIC) as an indicator of head injury. Although the cause of brain damage in an automobile collision has not yet been clarified, there are two main causes: one is the translational acceleration associated with HIC, and the other is rotational acceleration and is related to BrIC. Here, we investigate the causes of brain damage, research trends related to brain damage, and the possibility of introducing them into future car crash laws. 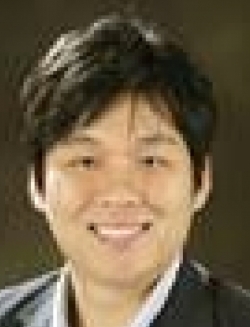 Biography: Yongwook Lee is Vice President and CEO of Elektrobit Automotive Korea. 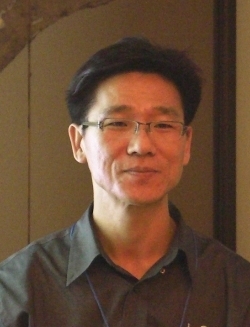 He has a Ph.D. in Mechanical Engineering from KAIST. 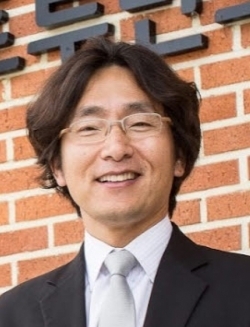 He has knowledge and insight in the automotive industry based on his working experience at Hyundai Motor Company and Continental Korea. Synopsis: Validating automated driving systems constitutes a major challenge because of their complexity, the need for decreasing development cycles, and strict legal safety requirements. In this talk, we show our approach to creating a toolchain for successful validation of such systems. As a basis, suitable ways of recording real driving scenes and generating simulated driving scenes need to be in place. Next, we show how to bring the collected data to the development environment. Finally, leveraging the cloud allows for parallel test and nearly infinite scalability, making it possible to validate automated driving functions quickly and efficiently. Biography: Jeongdan was involved in a public demonstration of autonomous vehicles in the center of Seoul in November 2017. 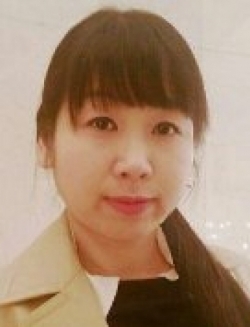 She is a member of the Presidential Advisory for the Innovation of National Science and Technology. Synopsis: Automated vehicles must satisfy basic seven functions in order to acquire a temporary driving license for autonomous vehicles defined by the Ministry of Land, Transport and Communications as ‘Regulations on safety operation requirements and test operations of automated vehicles’. The seven functions are basic driving, lane change, cut-in/cut-out, congestion follow-up and release function, forward collision prevention function, maximum speed limit function and fail-safe function. In addition to the basic functions, the pedestrian recognition or signal recognition function is tested to suit the traffic environment in which the vehicle is intended to be operated by automated vehicles. Having these basic requirements and verifying the basic functionality of the test run, it can be used to derive business models for a variety of automated driving services on public roads. Our team were authorized for temporary automated driving operation to develop automated driving services in traffic situations, including general road conditions, pedestrian crossings and signal crossings. To do this, we introduce an electronic control platform using an electric power source and a vehicle platform equipped with camera sensors and lidar for urban driving. This paper introduces a driving system that recognizes multiple objects in the traffic situation on the road and generates the major maneuver and control values based on the precision map. In addition, it introduces AI technology used for traffic-light recognition and pedestrian recognition, and location recognition technology using camera and lane markings. Lastly, it will present lessons from tests such as automated driving taxi using terminals in a general traffic situation around Daedeok Research Complex, and plans for the automated driving service in the future. 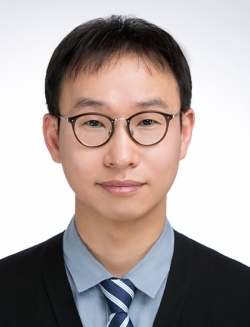 Biography: Hyeong Ahn has a BSc and MSc in Computer Science (Seoul National University and San Jose State University). He has business experience in Enterprise ICT solutions, manufacturing and partnership with global leading companies. 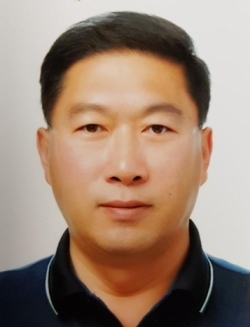 Hyeong Ahn has worked in high-reliability industries including automotive, aerospace, defense, medical and next-generation electronics. Synopsis: Reliability in automotive testing is essential to the general public on the road as well as to the customer who drives the vehicle. More importantly, the safety goals will not change during the lifetime of the vehicle, no matter where it runs around the world. Because of the reliability and safety goals for vehicles, automotive testing requires many months of accelerated testing including thermal cycling and repeating the same tests when a failure happens during the test. As new car concepts such as electric or autonomous cars come to the market, reliability guarantees or warranties related to the growing electronics embedded in cars is a major issue in the automotive industry. The presentation will offer some answers to the challenges with a methodology called Reliability Physics Analysis (RPA) and a tool called Sherlock (the only commercial leading-edge solution in the global market). During the session, the speaker will introduce the challenges, tools, standardization and case studies under the new virtualized automotive testing known as RPA. Biography: David has been working in the area of durability and reliability engineering for the purpose of design and product validation for the past 20 years. He currently runs Famtech as manager and technical director. Synopsis: Product failures often require expensive repairs or replacements. Over-engineering adds to recurring costs and its success is uncertain if the cause of the failure is not understood. Engineers need in-depth knowledge before attempting a redesign. This case study focuses on bus seat failures not predicted by industry standard tests. The goal was to collect comprehensive field vibration data and analyze that data to understand the cause of the failure. The study used accelerometers placed at various points in multiple seating configurations and across multiple field environments. Analysis identified transmissibility issues between axes of motion, as well as higher-reliability seat configurations. Synopsis: Today’s vehicles contain a substantial number of electronic components that must be designed to withstand repeated use for an extended period of time. Proper testing and analysis of these electronic components can save warranty costs and increase customer satisfaction. Ways of obtaining a representative and accelerated test for automotive components will be introduced. How to use this accelerated test to handle the reliability of the electronic equipment under real-world vibration conditions will also be demonstrated. Synopsis: In connection with the development of a surface microphone for automotive NVH, GRAS has conducted a study in cooperation with Volvo Cars. The main goal of the study was to improve the measurement procedure for engine noise reduction to be able to better compare and evaluate different vehicle configurations across different platforms, independent of operator-induced differences. The transducer is specifically designed for easy and repeatable mounting inside the confined space of an engine compartment and was tested for localization accuracy. The 147AX CCP Rugged Pressure Microphone can also be used in hot engine testing and high-vibration track testing. Biography: Niklas is the voice of GRAS in South Korea and has been with the company for many years. He holds a degree in International Business & Management from HAN University of Applied Sciences. 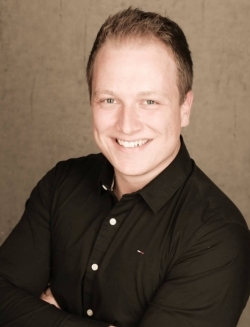 Through countless customer interactions and partner meetings, Niklas has driven multiple customer projects and transformed customer requests into the products that clients around the world rely on for testing purposes. Niklas is responsible for GRAS’s presence in East Asia and Pacific. Through this he has had numerous interactions with automotive stakeholders, which is what drives GRAS efforts in this industry. Synopsis: The presentation will introduce a plan for a simulation test system for functional safety, after developing ADAS functions such as a vehicle collision avoidance system using an NVIDIA drive product based on deep learning vehicle image recognition and a vehicle CAN. Synopsis: Research institutes in the automotive industry are actively studying advanced driver assistance systems (ADAS) and autonomous driving that provide safety and convenience to drivers. In order to realize these benefits, various kinds of sensors are used. This presentation outlines solutions that validate ADAS technology using sensor simulation techniques during development. Synopsis: Evaluation of the driver's comfort and safety awareness during the development of the ADAS and AD systems is essential. However, the part about human emotion is difficult to develop and verify because it is impossible to model. The presentation will introduce Cruden's driver-in-the-loop (DIL) simulation and a case study as a way to solve the problem. Synopsis: The presentation will outline the development of a vehicle sensor algorithm working with radar, lidar and camera, which is a key part of ADAS/autonomous ECU development. The speaker will introduce sensor algorithm development using MicroAutoBox embedded SPU in a vehicle environment, and sensor algorithm verification using a HIL simulator in an indoor environment. 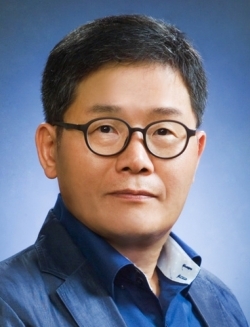 Biography: Clark Lee graduated from Yonsei University and has been president at Hysen Corp since 2003. Synopsis: The performance of an automotive is not just characterized by the ability of motion, but also the feel of quality defined by vibration and noise. This presentation will discuss the application of a non-contact vibration measurement method via Laser Doppler Vibrometry. The Polytec Laser Doppler Vibrometer (LDV) has been widely used in R&D as well as in component-level testing within the automotive industry. Measurement examples using the LDV will be presented, showing the dynamic response on valvetrain, electronics of electric vehicles, damping optimization of chassis, etc. It will also expand on the principle of LDV, extending the usage to attain three-axis responses critical for modal analysis of components and BIW. The presentation will also provide an update on emerging applications such as operational deflection shape analysis of rolling tires, which was considered unachievable until recently. Synopsis: As the proportion of vehicles in the S/W sector is gradually increasing, the vehicles are becoming electrified. In order to respond immediately to a problem in the vehicle's S/W, a wireless communication network OTA update service, an update technology of software, is gradually evolving. The vehicle's OTA update process should be fast and reliable, and should not impair function stability. We have built a test environment that can test the relevant parts quickly so that we can evaluate the safety system evaluation environment for electrical parts in various situations. 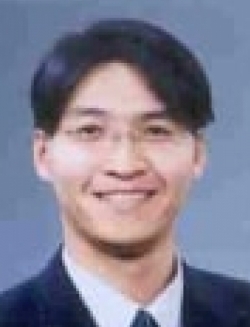 Biography: Chunkyu Kwon has been part of the cooling and HVAC development team at Hyundai Motor Company's Namyang R&D center since 2002. 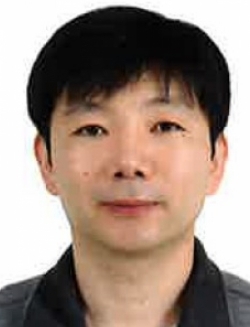 He has a PhD in Mechanical Engineering from Seoul National University. Synopsis: More efficient automotive climate control systems are required due to strict GHG (greenhouse gas) regulations and the increasing prevalence of electric vehicles. Furthermore, customers need more convenient comfort. Auto makers are struggling to find a new development method for human thermal comfort evaluation. The presentation will outline some of Hyundai's efforts in this area and some of the company's trials using thermal comfort evaluation prediction method development. 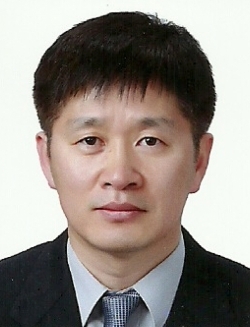 Biography: Je Myoung has been a global R&D manager in the ADAS performance development team and the chassis driving system development team at Hyundai Motor Company’s Namyang R&D center since 2013. 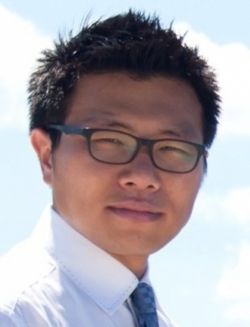 He has been in charge of the ADAS and AD (autonomous driving) Validation Research Lab as a research fellow since 2018. Synopsis: Validation and verification of automotive system safety is becoming increasingly important in order to expand ADAS and commercial autonomous-driving technology. Without careful definition of required safety functions as well as preparation of proper testing methods in advance, the ultimate self-driving technology will be far from complete. We will review major differences in testing methods between conventional automotive performance and self-driving performance in view of the vehicle-human-environment interaction. 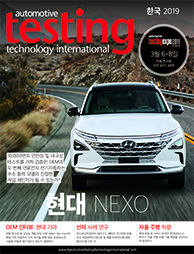 Hyundai Motors R&D is focusing on three types of testing and four pillars of validation processes for accelerating advanced technology development. 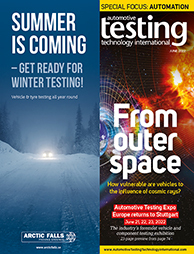 Among them, proving ground testing will be one of important challenges for the establishment of future mobility test environments. We will look at the status of a collaborative project with KATRI using K-City for test scenarios and test systems building. It is going to propose the establishment of a joint verification system between organizations and industries in order to respond to new NCAP and self-driving certification in the future. 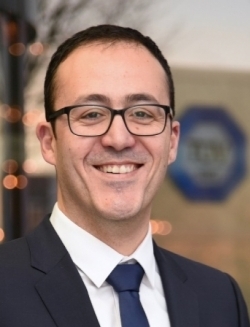 Biography: John Simon is a product and applications manager at Intrepid Control Systems, responsible for the firm's latest Automotive Ethernet products supporting AVB/TSN and 1000BASE-T1. Prior to joining Intrepid, he spent the first 26 years of his career at Delphi, where he held a number of leadership roles in product development for body/security, driver information and infotainment. Synopsis: Intrepid Control Systems is a global provider of automotive test, simulation and automation solutions. With the introduction of Ethernet communication technology to the vehicle communication side, traditional video transmission methods such as LVDS have gradually changed into the AVB/TSN protocol, which is attracting much attention. This presentation introduces the basic concepts of the AVB/TSN protocol and how Intrepid products can be used to implement automated tests for ECUs that communicate via AVB/TSN. 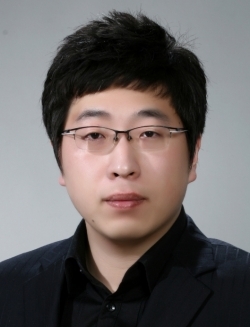 Biography: Kyung-il graduated from Choong Ang University and has worked in the test and measurement industry since 2002. He has focused on the automotive field since 2008, particularly in the areas of vehicle communication test, data acquisition, datalogging. He has been working for ICS Korea since 2013 and currently runs the Korea office. Synopsis: This presentation will address environmental stress testing for an automotive LED headlight, including operating simulation during the test (low and high beam, DRL, turn signal, etc.) and the measurement method for functional checks. Biography: Alfred is responsible for sales of various reliability testing devices. 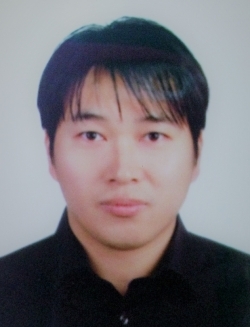 He graduated from Myungji University with a degree in Mechanical Engineering, and joined JFM Tech, the Korean official agency of Weiss Technik, in 2014. He has worked as a technical service engineer for three years and is currently in charge of domestic sales with a solid foundation of technical knowledge. Synopsis: The automotive industry is faced with technical challenges due to the increased complexity and reliability of electronics used in automobiles. This requires compliance with a number of industrial norms, LV124 being one of the most important. LV124 was developed by German car manufacturers to ensure process safety and hardware quality, and compliance is important as the standard is used in global procurement of automotive parts and equipment. This presentation gives an overview of the various environmental tests described in LV124 and addresses the challenges to comply with these test requirements. 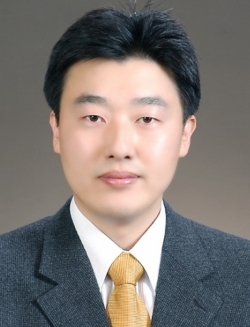 Biography: EunDok has a PhD from Pusan National University and is a senior researcher at KATRI. 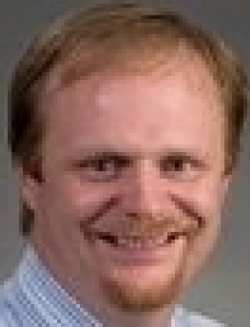 He previously worked as a senior researcher at the Automotive Safety Research Institute. 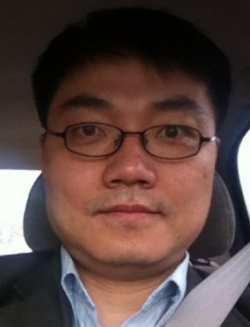 His major research interests are advanced safety of automobiles and autonomous vehicle safety. Synopsis: According to the World Health Organization (WHO), about 1.3 million people die from road traffic accidents every year, and 90% of these accidents are caused by drivers who are poor at driving, tired or negligent. Therefore, traffic accidents could be drastically reduced if the causes of accidents by drivers were reduced. This solution is the autonomously driven car. Autonomous vehicles are one of the key keywords of the 4th Industrial Revolution and strive to gain technological advantage not only in Korea but also in other developed countries. Autonomous vehicles are a useful means of reducing social costs by reducing traffic congestion, fuel consumption and pollution emissions as well as traffic accidents. To promote early commercialization of such autonomous vehicles, Korea aims to provide evaluation technology for ensuring the safety of autonomous vehicles at Level 3 by 2020. To this end, the Korea Automobile Testing and Research Institute (KATRI) is conducting research on the development of autonomous vehicle safety evaluation technology and a testbed with domestic and overseas research institutes and universities. To improve the safety and reliability of autonomous vehicles developed by automobile manufacturers, universities and research institutes, test environments capable of repetitive and reproducible tests in a controlled environment are required. K-City is a testbed where we are trying to improve the safety of automobiles. Synopsis: Greenhouse gas is a big issue worldwide, so countries including the USA, Japan, China, Korea and the EU have created policies for reducing greenhouse gas. For calculation of reduction, it is necessary to know the quantity of current greenhouse emissions per year in Korea, which is not reflected in real driving conditions for measuring the fuel economy and greenhouse gas. The aim of this study is to figure out the characteristics that influence greenhouse gas emission in real driving conditions. The final goal is to apply the greenhouse emission reduction policy. 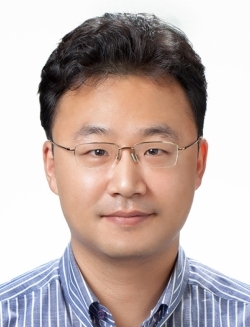 Biography: Dong-Hyun is currently the Senior Consultant Engineer for Keysight Technologies. He has a broad knowledge of various industrial and R&D sectors ranging from automotive and 5G, to semiconductors and aerospace and defense. Synopsis: Automobile manufacturers, parts suppliers and chipset companies are working on the development and application of Automotive Ethernet. Up to IEEE 802.3bw, IEEE 802.3bp and OABR 3.2, all versions of Automotive Ethernet are required to be tested against strict standards. The presentation will look beyond the 100Base-T1 for more complex transmission and reception of the 1000Base-T1 specification. It will also discuss the measurement challenges of cable and connector assemblies and Keysight Technologies’ fast, automated Automotive Ethernet physical layer compliance test solutions. 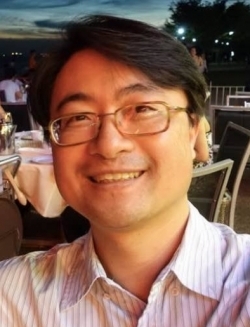 Biography: Chris Chia is a business development manager in the sales international (Asia-Pacific) department at Polytec GmbH. He has a bachelor's degree from University College Dublin and has been with Polytec GmbH for eight years, focusing on non-contact measurement techniques such as laser Doppler vibrometry, stroboscopic video microscopy and white light interferometry, with experience in various industries including automotive. Biography: YoungKey Kim has bachelor's and master's degrees from KAIST Mechanical Engineering. 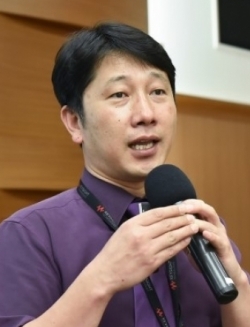 He received a PhD in Measurement Method Using Microphone Array at KAIST's mechanical engineering department. In 2005 he was certified as a professional engineer in the noise and vibration field. 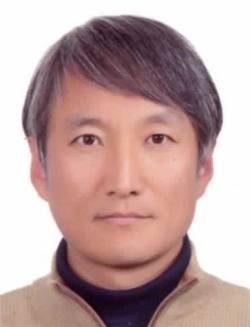 He worked for several years on the development of satellites for the Korea Aerospace Research Institute and the development of low-noise compressors for LG Electronics. In 2006 he established SM Instrument Co Ltd. and successfully developed, produced and sold various products such as sound cameras. He is interested in developing innovative noise and vibration measuring instruments. Synopsis: NVH quality inspection of automobile parts is one of the technical fields that have difficulties due to the inability and the complexity of the conventional methods. Selection of various parameters and application of appropriate signal processing methods for accurate inspection are essential in NVH quality inspection. Because the highly concentrated work of skilled experts is required to implement the NVH quality inspection technology, there have been many difficulties in the application process. This presentation will give an example of solving these difficulties through deep learning technology, which is becoming popular. The speaker will present an example of using the anomaly detection method among the various deep learning technologies recently announced. If we use the anomaly detection method, we do not have to select the signal processing process since deep learning will learn it from the data. The speaker will also describe the excellence of the method used in the practical case, and explain what the expectation effect is from the user side. Synopsis: AD-STEP is a government-funded project that is developing a test procedure and evaluation system based on international standards. This is targeted for Level 3, 4 and 5 autonomous driving scenarios such as highway, valet parking and urban situations. Synopsis: Autonomous driving technology, which is considered to be the core technology of ADAS and various driving assistance technologies (ADAS) that are rapidly spreading, is focused on technology development not only in automobile companies but also IT companies such as Google and Apple. Implementation technology to achieve full autonomous driving is also important, but verification techniques to ensure the safety of autonomous driving through several fatal accidents caused by autonomous driving cars are also becoming important issues with regulations. This paper introduces the verification method for verifying the new technical factors of autonomous driving technology by looking at the main features of autonomous driving technology from the viewpoint of verification. The presentation will offer a safety analysis perspective to secure the functional safety of the control logic in response to various failure situations, taking into account the possibility of erroneous operation of the sensor-deep learning model implied by ADAS and autonomous navigation technology, which depend on machine learning and sensor technology. It will also explain how to deal with it. In addition, it will provide diverse post-analysis through in-vehicle/external data collection during actual vehicle driving, and suggest ways to supplement the running test that is absolutely insufficient through data-based simulation. Synopsis: This presentation will cover the basic concept of the 1000Base-T1 physical layer testing. It will also provide more details about the test modes of the 1000 Base-T1 test spec. This session will focus on methods to overcome the difficulties of measuring distortion tests with an actual ECU that is already packaged. A packaged ECU cannot provide any outputs of the clock pin for the test. This presentation will outline the basic concept through to the highest level of automotive Ethernet testing with a Teledyne LeCroy oscilloscope. 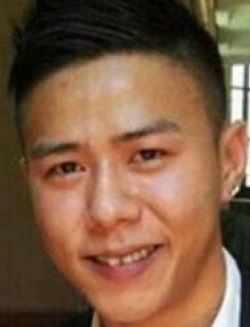 Biography: Young Kyu designed the first-generation wet grip tester with wheel force transducer, and the rubber elastic force measurement under dynamic with wheel force transducer. 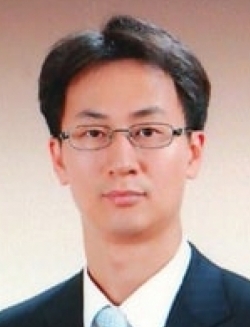 He is also involved in product redesign, and has provided consulting services in the areas of technical services for automotive and military R&D centers, proper usage of Slip Ring, data analysis, failure analysis and field to lab correlation analysis. Synopsis: Vehicle durability testing is a critical component of vehicle evaluation. Wheel force transducers can play a vital role in obtaining information about the response of vehicles to severe conditions. In this presentation, we look at how wheel force transducers aid in measurements taken during testing that includes curb strikes, potholes, braking and off-road testing. The data from the curb strike testing provided a customer with higher loads than their simulation presented. Without real-world data, vehicle models are incomplete. These case studies are just a few examples of the applications for wheel force transducers. Biography: Dr Houssem Abdellatif graduated in Robotics and Control Engineering. He has held various positions in different German automotive companies, and joined TÜV Süd in 2016 to lead the company's new global program for autonomous driving. Synopsis: Currently there are no general regulations or methods for certification or approval of automated vehicles. However, many use cases or initiatives are struggling to operate automated vehicles on public roads. TÜV Süd has developed a universal framework that copes with the heterogenous local regulations and provides a unified method for the assessment of automated vehicles. This framework considers local roadworthiness regulations, as well as functional safety and cybersecurity, and can therefore be applied in any region in the world. TÜV Süd has enabled ambitious projects to be successful in operating automated vehicles on public roads, without any safety issues. Biography: Mr. Joong-Seok Oh joined TÜV SÜD in March 2017 and is leads the team of Mobility in TÜV SÜD Korea. The topics of his work are varied from the state-of-the-art technologies like autonomous driving and e-mobility to the conventional businesses of TÜV SÜD like homologation and audits. 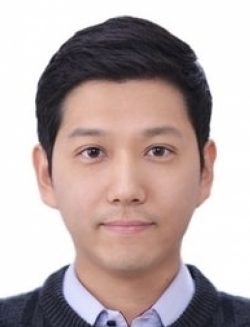 His team is continuously growing to cover relevant businesses in Korea.. Mr. Oh is a senior engineer of e-mobility and holds a Masters degree from the University of Texas at Austin in US. 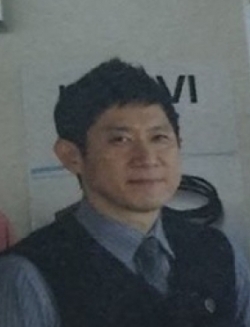 Prior to TÜV SÜD, he has occupied as a development engineer in Hyundai Motor Company and LG Chem and was responsible for various e-mobility systems from e-motor to traction batteries. 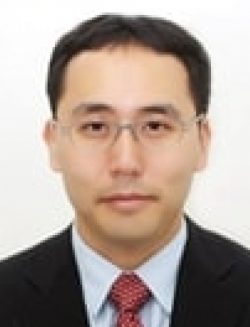 Biography: Mr. Min-Kyu Shim joined TÜV SÜD in 2018 and is in charge of Autonomous Driving. The topics of his work are varied from the state-of-the-art technologies like autonomous driving to the conventional businesses of TÜV SÜD like homologation and audits. 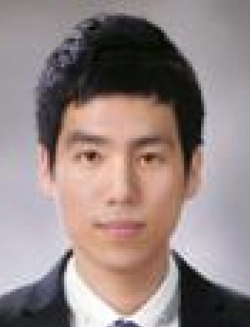 Mr. Shim is a senior engineer of autonomous driving and holds a bachelor’s degree from the Kon-Kuk University in Korea. Prior to TÜV SÜD, he has occupied as a development engineer in iA, Inc. and was responsible for automotive software development. 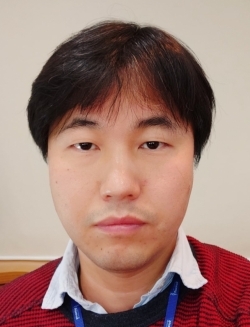 Biography: Keun Wook Jung acquired his bachelor’s degree at Seoul National University, his master’s degree at RWTH Aachen in Germany and his doctoral degree at TU Dresden. His doctoral thesis was mainly about ride and handling in cooperation with Volkswagen Group Research. Before getting started with his doctoral thesis, he was involved in different divisions such as chassis design, vehicle modeling and hardware-in-the-loop simulation. 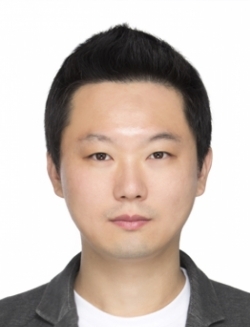 His role at Vector Korea is to introduce toolchains that can help customers accelerate their development goals. Synopsis: Accurate implementation of the driver assistance system requires accurate awareness of the vehicle perimeter. Sensor fusion technology is required to perceive the surroundings of a vehicle based on data from various sensors such as radar, smart camera and lidar. We will explain how Baselab’s tools are utilized and how they can be used to develop sensor fusion algorithms from initial prototype code to mass code generation. Synopsis: Software testing is complicated and often is not done because it takes too long. However, someone should accurately diagnose the cause of the bugs and determine the cause of the errors and provide a solution. This session describes how to automate Vector software testing automation solutions to shorten testing time and perform testing more frequently. Biography: Ryan is an international sales engineer at Vibration Research Corporation in Jenison, Michigan. He is a graduate of the University of Wisconsin – Madison and has over nine years' experience in the test and measurement industry. He has a strong technical background with years of direct customer support and a focus on international applications. He has a passion for engineering solutions for complex technical requirements. At Vibration Research, Ryan provides sales and technical support for customers and distributors. 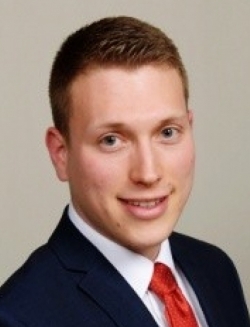 Biography: Simon joined Weiss group in 2001 and focuses on customization for environmental test simulation chambers in various industries including automotive. Prior to joining Weiss, he spent 12 years as a specialist for Republic of Singapore Air Force and six years in business development at a test and measurement trading company. Synopsis: Autonomous driving systems require diverse sensors that are distributed and channeled via various communication protocols. The rising sensor resolution and ever-changing high-speed communications make validation of these systems very challenging and increase requirements for reliable and safe multi-channel capturing of sensor data with synchronized and accurate time stamping, which is essential for the further use of the recorded data. The modular and scalable logiRECORDER datalogging platform, with its integrated data recording and playback capabilities, quickly adapts to differing requirements and helps overcome challenges through all development and testing stages, such as sensor validation, algorithm development and hardware-in-the-loop (HIL) simulations. 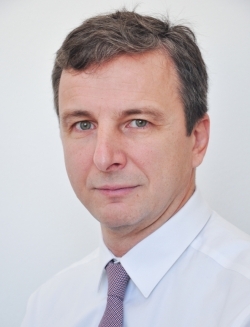 Biography: Davor has 25+ years' experience with FPGA technology. Before founding Xylon in 1995, he worked as a teaching assistant at the University of Zagreb and as the leading development engineer at an international industrial electronics manufacturer. Davor initiated development of FPGA IP cores in Croatia, promoted their use in the automotive market and led Xylon development teams in more than 300 globally executed projects. As Xylon CEO he has established global partnerships with industry-leading companies in joint sales and marketing. Davor holds an MSEE from the University of Zagreb in Croatia. All presentations will be in Korean language.